When Mark Bouchard first came up with his idea for a luncheon to begin the Lenten season with CRS Rice Bowl in Louisville, KY, he knew he had a tough sell on his hands. After all, he was asking one of his city’s Catholic schools to hand over its gym to a few hundred students – from elementary to high school age – as well as other invited guests, who would all arrive and depart in the middle of a school day. What could be disruptive about that? Each table had a group of students and a refugee. “The students shared a pizza and had a conversation with their refugee brothers and sisters,” Bouchard said. Simple, but profound. That was five years ago. Now Bouchard is having no problem getting Catholic schools in Louisville to host the lunch. There’s practically a waiting list. 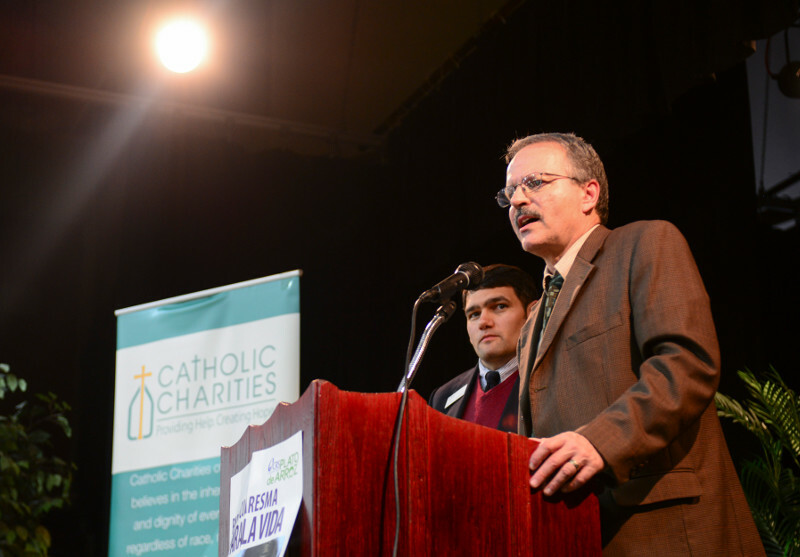 Though the luncheon has grown and there are more events connected with it – such as a simulated refugee camp – the core idea has remained unchanged: to link students with refugees who live in Louisville, refugees who have been helped in their resettlement by Catholic Charities. Bouchard said he and many others saw clearly the excellence of CRS in international relief and development and Catholic Charities here at home. Those were the two big dots that needed to be connected. Another dot was connected by this year’s luncheon. CRS President Sean Callahan was the guest speaker and, while he was in town, Archbishop Kurtz arranged a meeting with Kentucky Senator Mitch McConnell, Majority Leader of the U.S. Senate. They talked about the need to continue aid programs that help these refugees and others targeted by food programs supported by CRS Rice Bowl. Bouchard said that, though it was not the goal, since the luncheon began donations have significantly increased. Mary Waskevich can testify to the power of the luncheon which now kicks off a wide variety of events that support the missions of CRS Rice Bowl and Catholic Charities. A 7th and 8th grade teacher of English and Religion at St. Stephen Martyr School in Louisville, she has seen the impact it has had on her students. “At the lunch, they put a cardboard Rice Bowl on each table, really just as a display, but my students noticed that the only people who put money in it were the refugees,” she said. “That really made an impression on them. Centro Latino, a Catholic Charities-supported nonprofit, works with the Latino community in the Archdiocese of Louisville, Kentucky. Centro Latino distributes food and clothing, and provides educational opportunities. But Centro Latino also recognizes the importance of community and stability. Katalina has attended the meetings for 3 years. The community has supported her in learning English and inspired her to give back. She and other women volunteer at Centro Latino’s food distribution center, assist in their local parishes and, of course, work with their peers in the women’s meetings. Shelby County is better because of the work these women do. 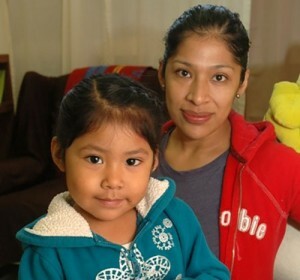 For Centro Latino, this is the kind of work that has the most lasting impact.